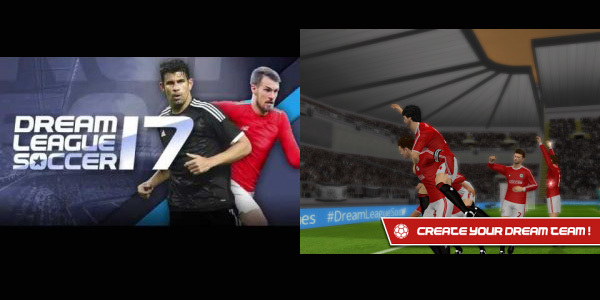 Dream League Soccer 2017 popularly known as (DLS 17) is a football game by First Touch games where you develop your dream team and lead them to victory in a fictional league where all the teams in Europe compete in. 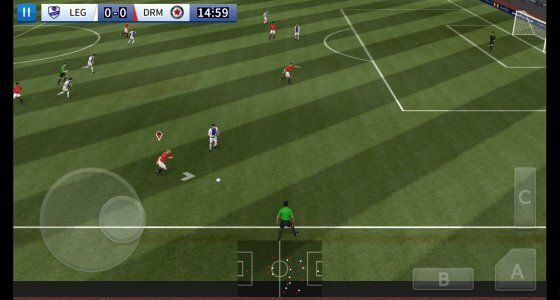 For those using Android and tablets, this soccer game is for you although this game is not as popular as PES and FIFA but it will surely give you a run for your money. At the beginning of Dream League Soccer 2017 apk + Obb Data Unlimited Money you will be asked to choose the name of your team and team captain there after you start challenging with other teams. Other aspects of the game can also be improved like Stadium upgrade, player upgrade, transfers (in and out) of players etc. When playing the game you will see three buttons for game simulation shoot, pass and center which are all you require to have fun. With these buttons you can play one-two pass, short pass long pass, cross the ball, perform skills and dribble opponents. You need a minimum of 500MB internal storage space. Download Dream League Soccer 2017 apk from google play store (don’t open after installation). extract the obb file and copy-paste the obtained folder in Android/OBB. If you find any issue during the installation kindly submit it on the comment box below.